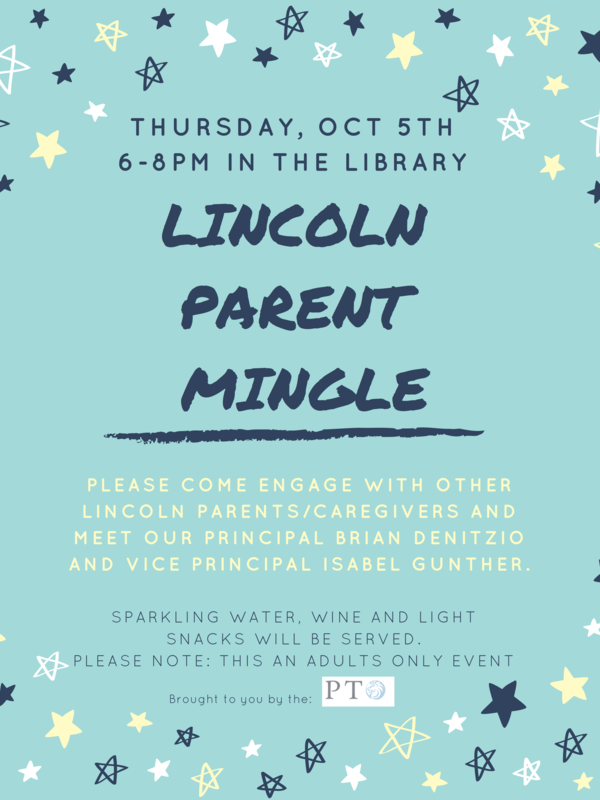 Please come engage with other Lincoln parents/caregivers and meet our Principal Brian Denitzio and Vice Principal Isabel Gunther. Sparkling water, wine, and light snacks will be served. Please note: This is an adults only event.